Clinician Halter is rated 4.70 out of 5 by 14. I bought this a few weeks ago to stark training my horse with the Clinton Anderson method and it's worked perfect! I'd buy it again! I liked the look and feel of the halter . Can't wait to use it. I have used many different kinds of rope halters but this one is hands down my favorite. The rope is narrower (harsher) and the knots on the nose piece provide extra leverage. The extra long lead is perfect for lunging and desensitizing. I am a professional Hunter/Jumper trainer and recently purchased this halter for my TB rescue horse who had some issues with tying and respecting my personal space. I have had good luck with working through these issues and think the one-piece lead- to- halter connection prevents breakage when the horse pulls back, plus the extra long rope is handy for working him as I lead , if necessary. I do wish the halter was a bit stiffer. I think this halter is great in experienced hands, but might be a bit too cumbersome for some . Definitely serves the purpose for me! This is a perfect training halter if you like a long lead line for your ground work. I never saw one this long before, but the halter knots are great and halter size is for a regular horse. I own a different natural horsemanship type rope halter and lead. I was hesitant to buy this one because I was not sure I would like it as much. I LOVE it. Rope has a good weight but is very soft. Love the longer length. Excellent quality. Glad I bought it. 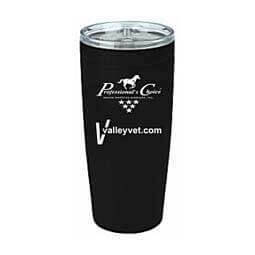 Great product, works well with keeping the horse on task paying attention to the trainer. The attached lead is long enough to handle many training tasks, and gives you the ability to make a round pen anywhere you are. I got this halter and rope for Christmas a year and a half ago, and it has held up well. I own 5 rope halters including this one, and it is my favorite.... the heavy weight rope and slightly stiff halter give nice, clear signals. I always recommend this halter to my clients and students.